Three upcoming workshops: Wanna hang out? No experience is necessary, all my workshops are open to beginners to both yoga and writing. 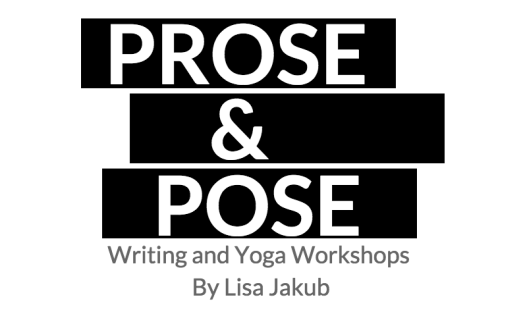 And if you have a writing and/or yoga practice already, these workshops will help you take it to a new level. 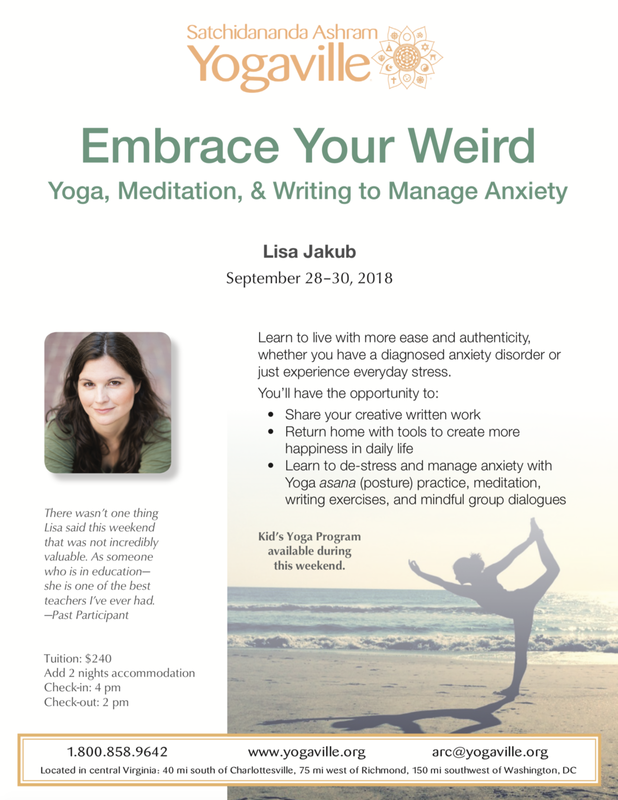 I'll be at Rebel Soul Yoga doing a half-day retreat on meditation, yoga, and writing for anxiety. We will explore mindfulness, yoga philosophy, and journaling prompts. There are only a couple of spots left, so reserve yours here. 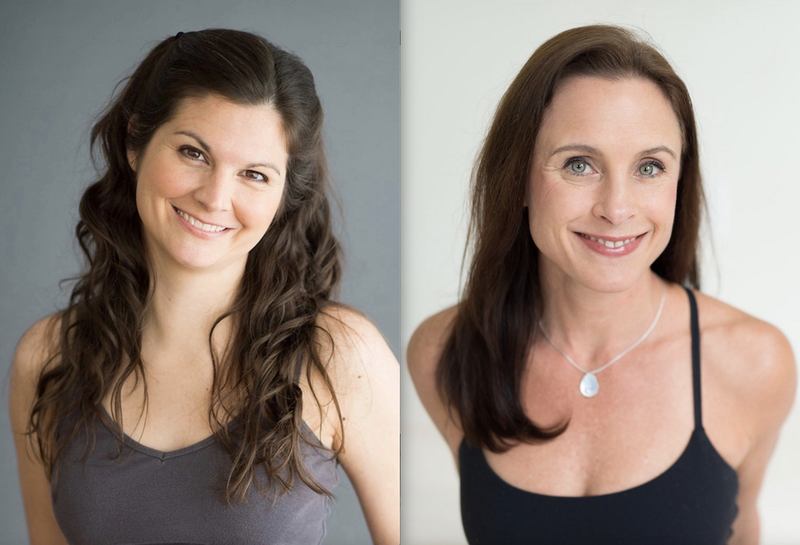 I will be leading a Writing and Wellness Yoga retreat with the incredible yoga teacher and health coach, Cecily Armstrong. We'll be covering topics such as the various aspects of emotional and physical wellness, nutrition, journaling as a form of healing, and using yoga as a way to reconnect to your life. Get more info and sign up at Art of Living Retreat Center. I will be leading a Yoga and writing for anxiety retreat at Yogaville. Both Yoga and writing offer ways to tap into the heart of the present moment and see what is true and real in everyday life. The key to more inner peace lies in learning to drop the story and access the serenity of the present moment so we can stop obsessing about the past and future. 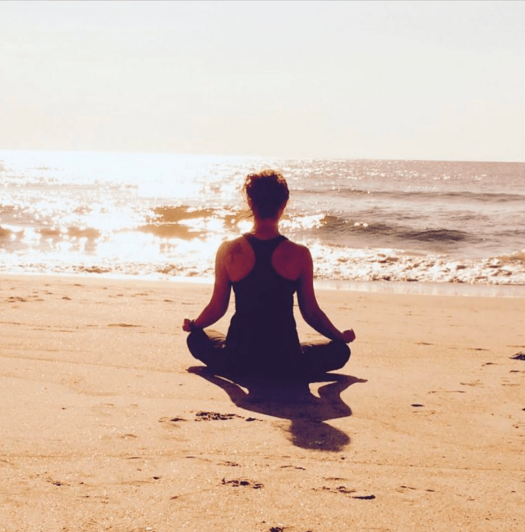 For those of us with anxiety, that may seem like an impossible task, but there are proven ways to retrain the brain and create healthier habits. Sign-ups are open now! For more information about my Pose & Pose Workshops, click here. And feel free to contact me with any questions. Hope to see you at a retreat!